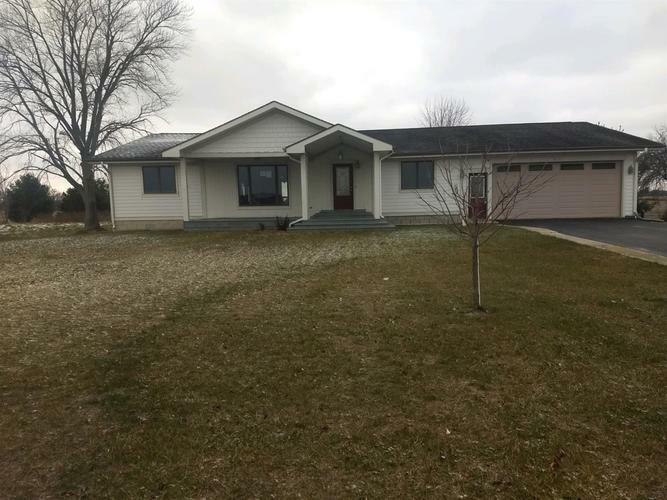 **ACREAGE** Sprawling 3 bedroom split level ranch with basement and attached 2 car garage on 5 acres. HUGE living room open to the dining and kitchen hosting custom cabinetry. A must see Four Seasons room with beautiful vaulted wood ceiling. Surround sound through out. Master suite w/ walk in closet. Master bath features dual sinks, large shower w/ dual shower heads. Main floor laundry. Rear deck spans entire back of home. New carpet through out. New windows on north side of home. Newer furnace & water heater,nice dry basement.Nice pull down staircase in garage, great for additional storage. Livestock welcome! Directions:65 to Rt 10 to 110 to 231. At 231 go south towards Rensselaer to 400 North ( gas station at corner) turn left ( east) to first cross road 450 North. Turn Left ( north) 2nd house on left.